There is much lid-flipping and out-freaking online today as UK news sites report a change to the recipe for Cadbury Creme Eggs, a change that everyone blames on the brand’s U.S.-based ownership. That very well may be true, but for Creme Egg fans stateside, it’s a non-issue as the treats you gobble down each spring are made by a different company. See, while Mondelez International controls overseas distribution of Cadbury Creme Eggs, and did indeed recently institute a recipe change, U.S. distribution of Cadbury products is handled by a different U.S. company: Hershey’s. A rep for Mondelez confirmed to Consumerist that the two products — the Creme Eggs it distributes and the ones distributed in the U.S. by Hershey’s — are now completely separate and a change to one does not mean a change to the other. UPDATE: A rep for Hershey’s has told Consumerist that there have been no changes made to the U.S. version of the Cadbury Creme Egg, which has been distributed by the Pennsylvania-based chocolate giant for decades. 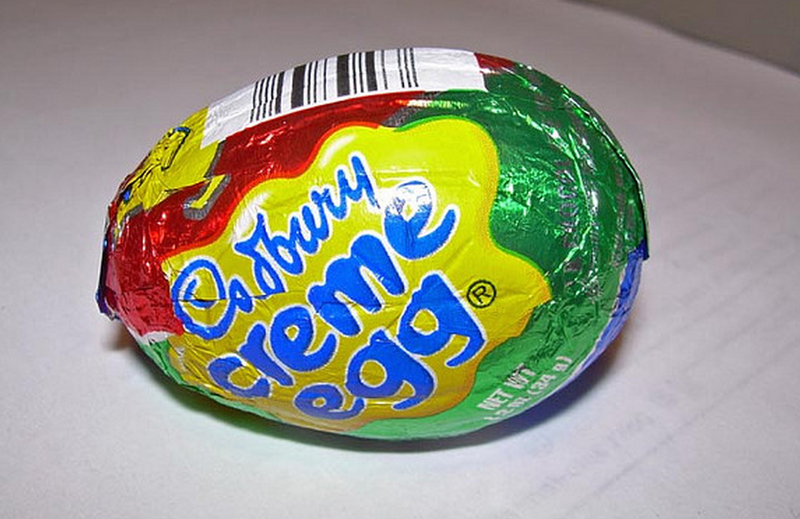 The only way you’d find a Mondelez Cadbury Creme Egg in a U.S. store is if someone imports it. So you will see these products at specialty stores catering to Anglophiles and immigrants from Europe, but probably not in the Easter candy aisle of your local drugstore. Previous Can Churches Provide A Meaningful Alternative To Payday Lending?